Oh my goodness...I have had the hardest time uploading to TpT...anyone else? I did get my January Intervention pack finished...hooray, but I'm sorry there are no preview images. I hope to be able to add them soon! Read the description if you are interested in knowing what's in it and e-mail me if you have any questions! 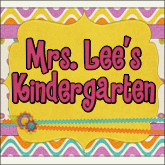 Don't forget to stop by and enter the FABULOUS giveaway on Mrs. Albanese's Kindergarten! Go check it out now...the winner "walks away" with 8 wonderful prizes...yes 8! I start back tomorrow...can't wait to see my kiddos, but I could use a few more days to catch up! I'll be back with fun wintry ideas soon! I am currently trying to upload something...wahhh! I attended the conference this summer and several sessions were in your awesome room! I am wondering if you have a set of plans/directions and or measurements for your loft? Yours is the perfect size for the new room I am moving into and I'd be thrilled to purchase the information from you. Thanks so much for any help you can provide. Thanks for posting about the giveaway, Julie! It's going great so far! Your new unit is AWESOME! I had a really hard time uploading also...super slow. Love all of your packets...my kids love your center activities! I am have had trouble posting today too! **SIGH** Misery loves company. LOL. 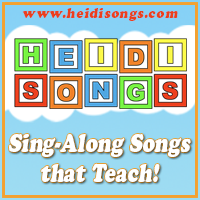 Adorable blog and resources. I follow all six TPT stores! I can't upload anything and I have 3 things I'd like to post! Boo!! Darnit!! In my case, however, I'm sure it's user error :) We started back today...sans kids...and I was NOT ready!!!! Hope you have a great first day back!! It is so frustrating when TpT does that! I've found that if you post the item first without pictures, and then go back add images it works better. Good luck tomorrow, I hope the kiddos are wonderful! Good luck this semester! I am crossing my fingers to win the 8 fabulous prizes! I purchased your intervention pack and I can't wait to use it with my kiddos! Our district does AIMSweb (which is similar to Dibels) and hopefully these activities will help my kiddos meet benchmark (or at least know what they are doing!). Julie, thanks for sharing all of your great ideas! I follow all 6 blogs!